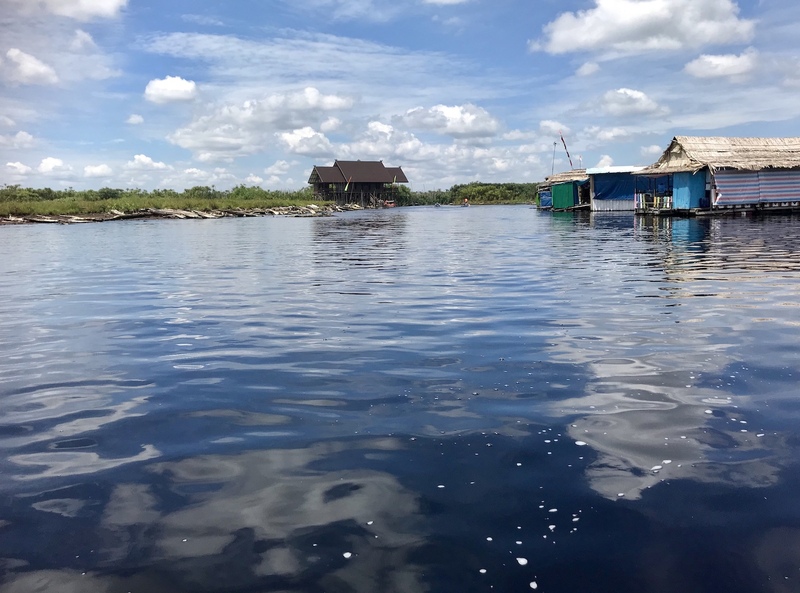 On this exciting and adventurous nine day fundraising tour (beginning and ending in Jakarta) you will visit rainforests of Central & West Borneo, you will trek and camp the jungle, cruise along rivers, visiting both Sebangau and Gunung Palung National Parks. 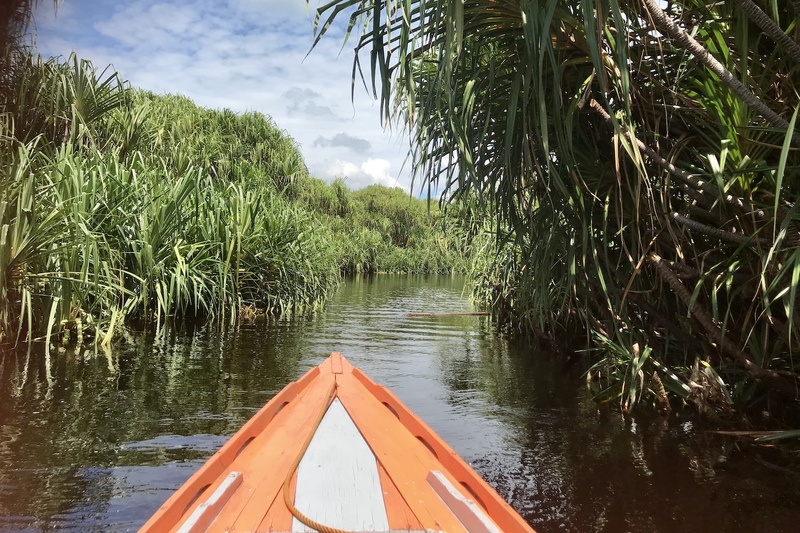 We will search for wildlife along the way and possibly see wild orangutan in their natural surroundings. 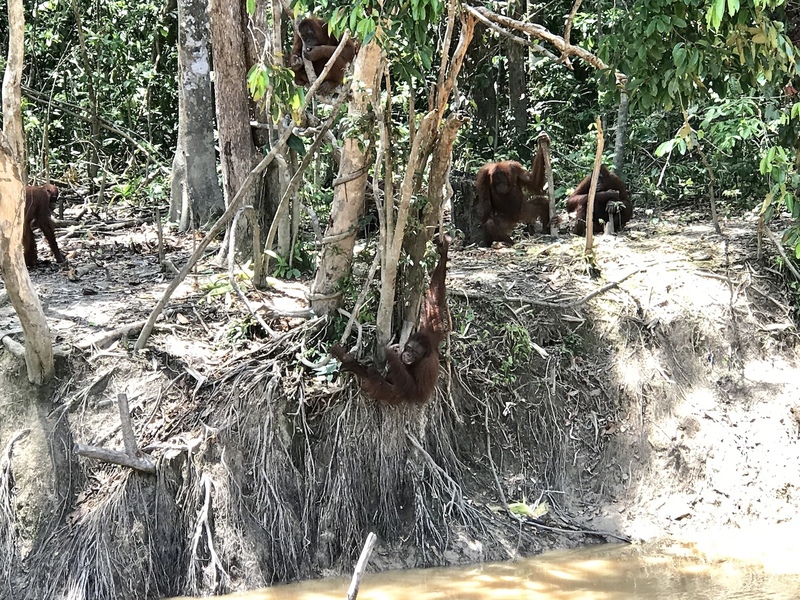 We will also see orangutans in the final stages of rehabilitation on their dedicated islands adjusting to freedom and preparing for future release back to the wild. This tour includes the privileged and the unique opportunity to visit International Animal Rescue (IAR) and Borneo Orangutan Survival Foundation (BOSF) rescue centres and see where veterinarians are breaking new ground on medical treatment of the red ape and where orangutans are rehabilitated for reintroduction back into the wild. This is where you will see the real difference being made by OVAID. 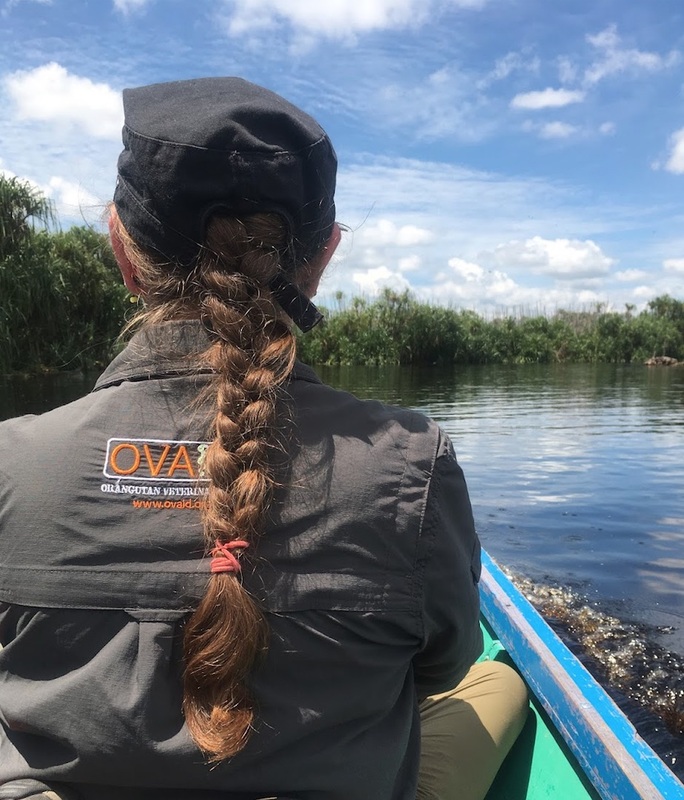 If you are interested in an ethical adventure which gives back to the orangutan, your participation in this tour will enable OVAID to save more lives. This is a once in a lifetime expedition that we feel sure you will want to be part of. After Borneo, we head back to Jakarta. 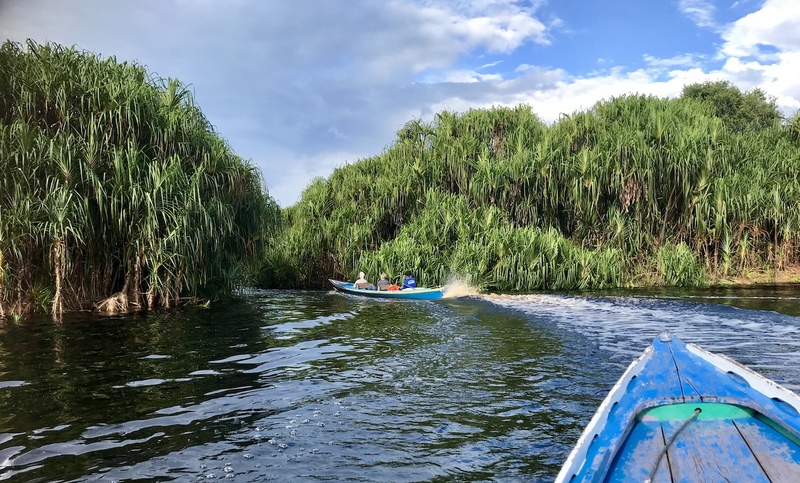 For those that want the adventure to continue after the tour, Orangutan Odysseyscan offer action packed extensions to places like Krakatau Volcano, Yogyakarta, see the Komodo dragons and more. 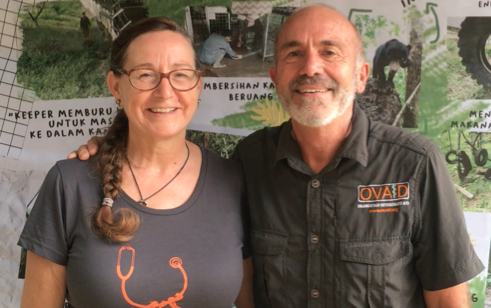 Vet, Nigel Hicks and his wife, Sara Fell Hicks, have been working with orangutan in Borneoand Sumatra since 2009. 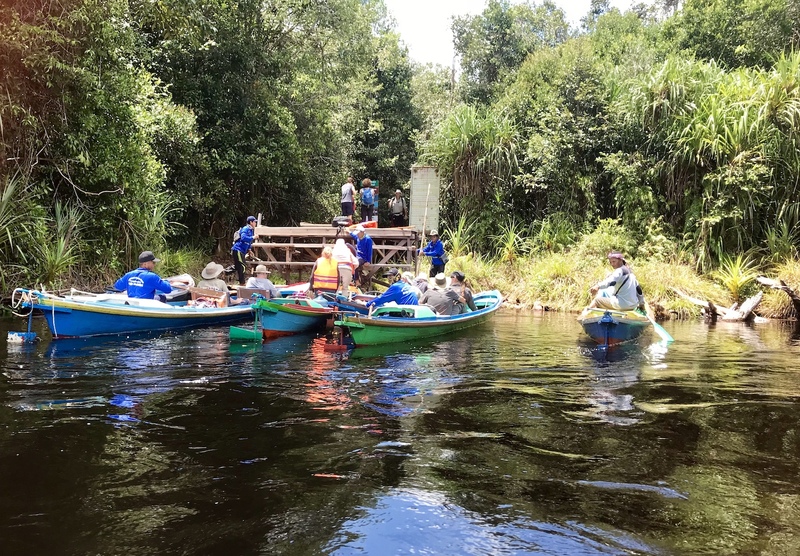 Through their experiences they recognised a need for the provision of veterinary equipment, medicines and practical veterinary mentoring to orangutan rescue groups and rehabilitation centres in Indonesia and Malaysia. Initially through friends they raised funds to enable them to buy equipment which they personally took out to Indonesia. 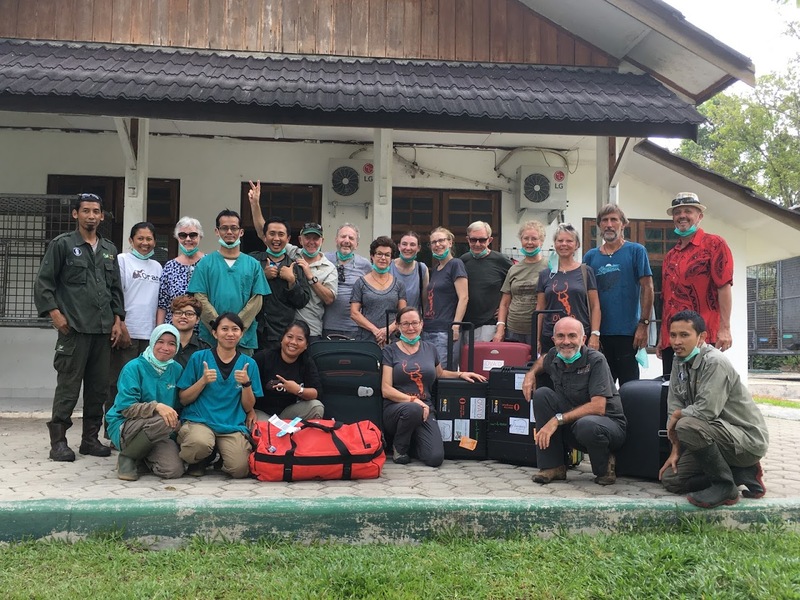 It soon became obvious that a more formal structure was needed and in early 2014 Orangutan Veterinary Aid (OVAID) was established as a registered charity. 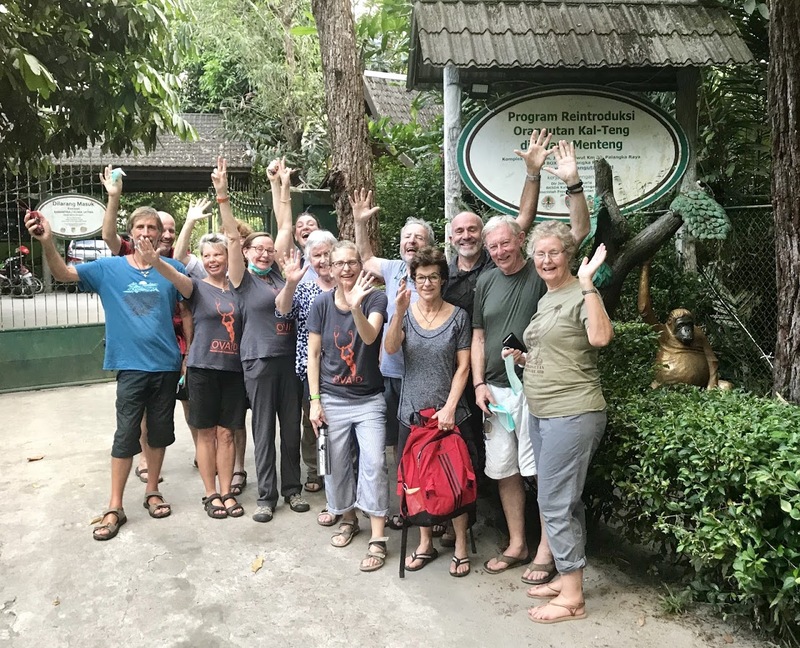 During this accompanied tour Nigel & Sara will share presentations on their work with orangutan over the last 10 years and there will be plenty of time for one to one conversations as well as group discussions. You are embarking on an adventure to places and amongst people whose lives are very different from your own. Many aspects of life in Indonesia will seem unusual. Remember that these are often the same aspects that make an area an exotic and attractive destination. While boat expeditions are considered easy, no trek is easy, even those rated "easy or moderate". In addition to the personal physical challenges you may face, travel conditions can present unexpected obstacles, such as rough and bumpy roads and changeable weather. To prepare for this "pack" a flexible and relaxed attitude. 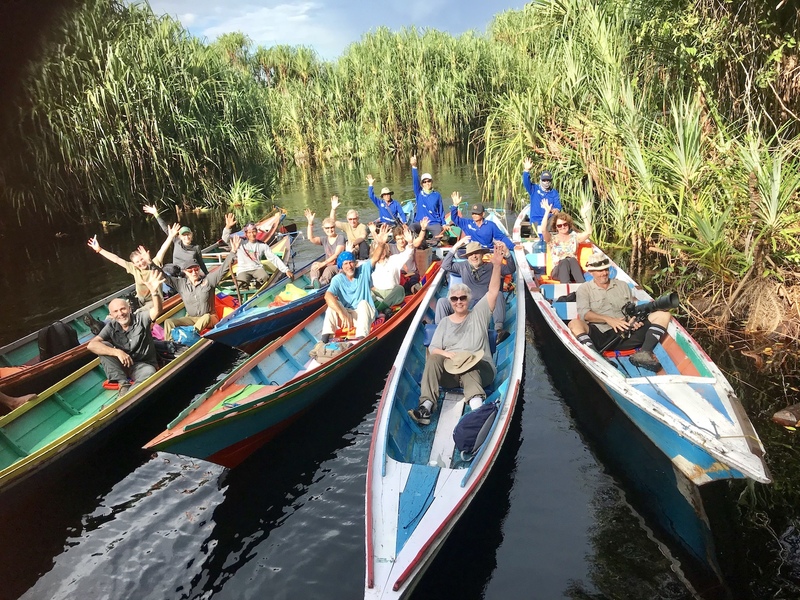 Bring a spirit of adventure and inquiry, a healthy sense of humor and a willingness to encounter the unexpected and you will find your trip to Indonesia the adventure of a lifetime! **Subject to change due to local conditions. Day 1 - 1st Nov: Arrive Jakarta. We will meet you at the airport and transfer you to your hotel for overnight accommodation at the FM7 Hotel located near the airport. Tonight we shall hold a tour briefing and introduction to your OVAID tour, in the hotel. *Note: To gain access to the centres, for the protection of the orangutan, we have to comply with strict BOSF & IAR health regulations - important please see below. Day 7 - 7th Nov: Lubik Baji - Ketapang - IAR centre. Morning flight from Ketapang to Jakarta (via Pontianak) to connect with International flights home or onward travel. Please note that as part of this special access to visit both orangutan centres ALL guests are required to provide health certificates as outlined below. This is to ensure the continued health and safety for the orangutans in this location. Please arrange to visit your doctor and arrange for these tests to be carried out. A copy of the certificates and TB report will need forwarding to Orangutan Odysseys office 2 weeks prior to departure. Tuberculosis: by one of the following methods - Interferon Gold, chest x-ray or Mantoux test. Hepatitis B: by the following methods- HBsAg or Anti HBc. 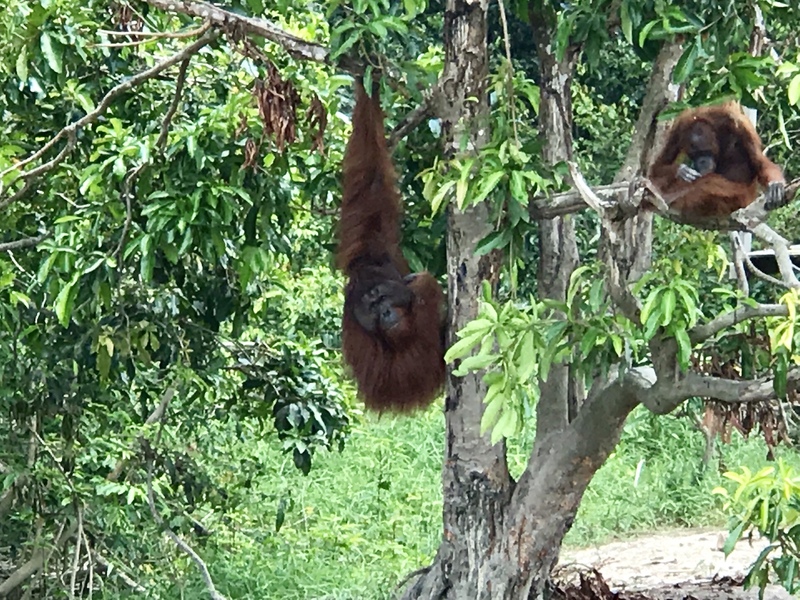 Our goal is to provide our guests with a unique experience, to observe wild orangutans in their natural habitat. 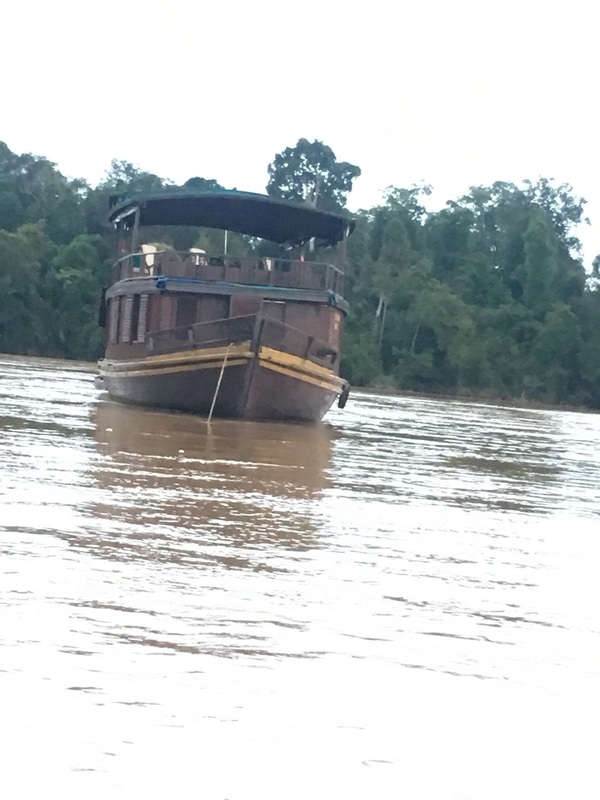 We will provide you with a safe platform to observe other wildlife Borneo has to offer including proboscis monkeys, gibbons and more. We will also provide you with comprehensive information about the destination you are in so that you are fully informed of your surrounds. 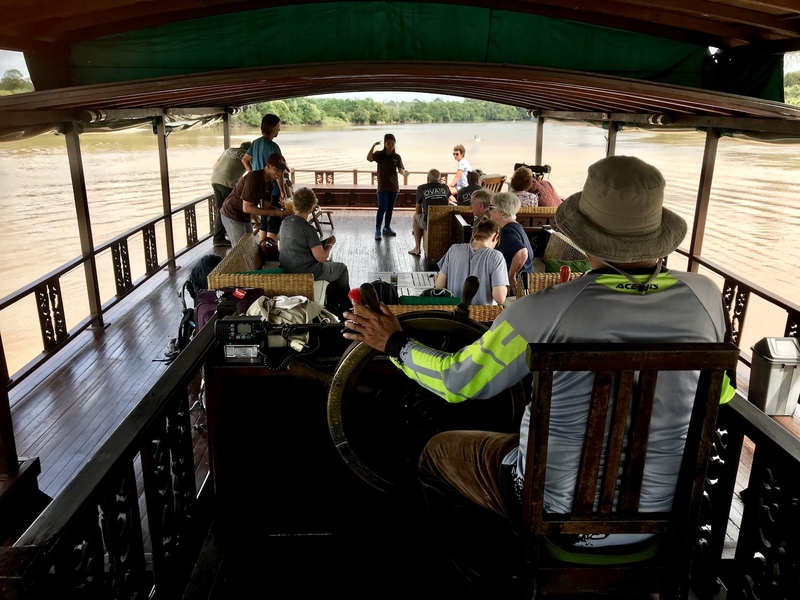 The purpose of this trip is to create awareness of the threat of extinction facing orangutans because of the destruction of their rainforest habitat and to raise funds to help orangutans. 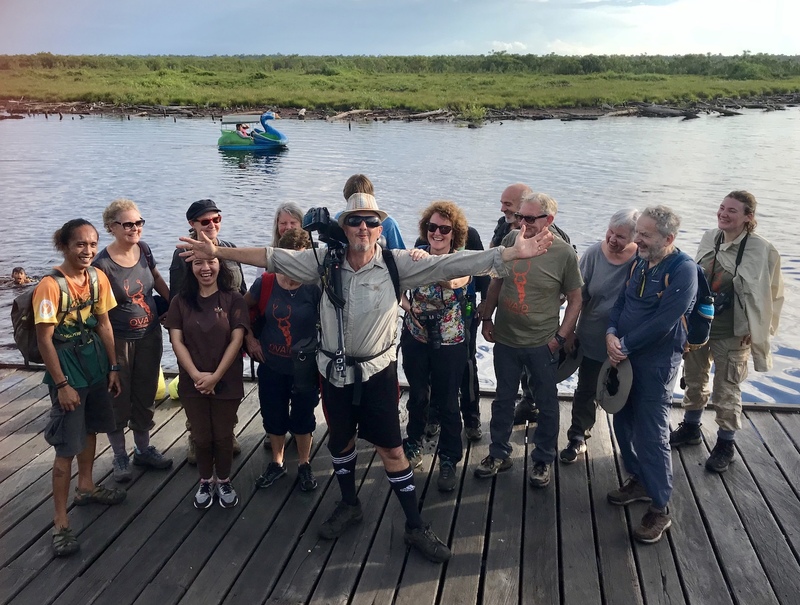 The trip hosts, Nigel & Sara are generously donating their time and expertise to help make this a most unique trip and a special experience for all our guests. 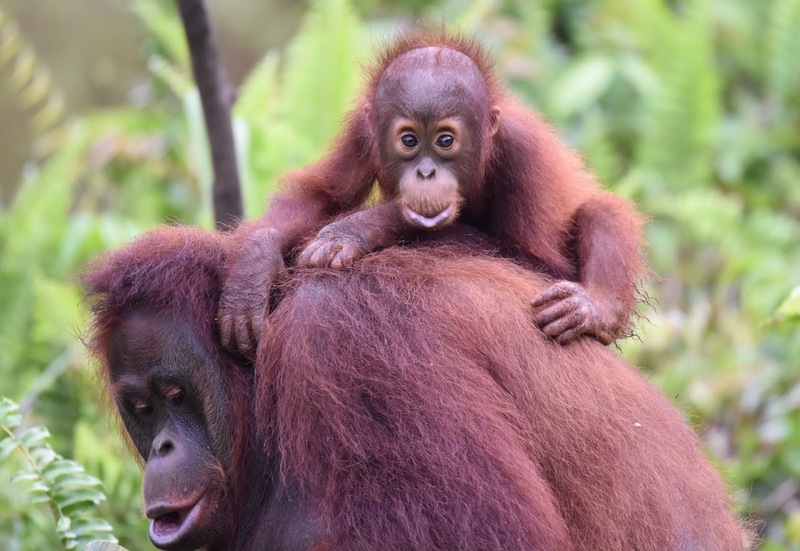 Orangutan Odysseys tours have now raised over $1,000,000 since 2011 to help support the orangutans survival. 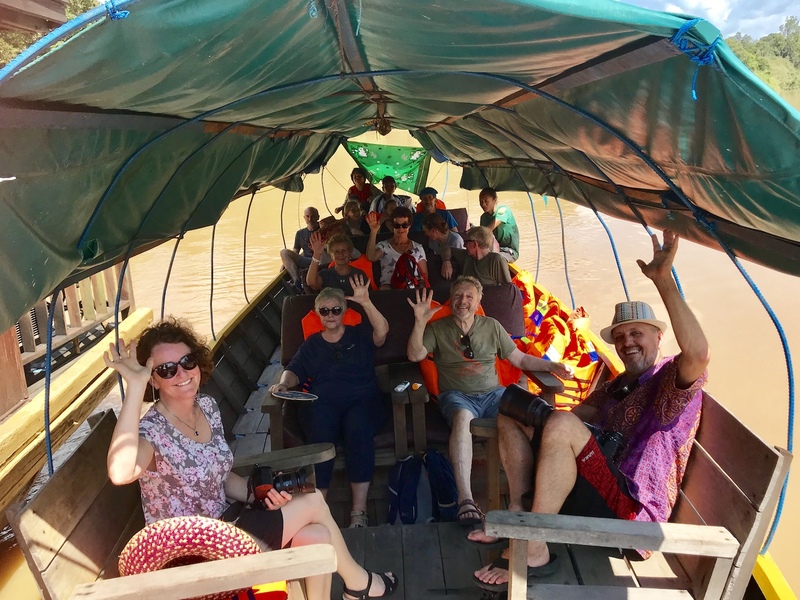 Each participant of the trip will adopt an orangutan (included in trip fare) and agree to fundraise a minimum of GB£850 in donations specifically for OVAID. Your participation in this event WILL make a difference. 1 x Agfa DX-D40 instant digital radiography solution. Together these two pieces of equipment will provide a state of the art complete digital x-ray system for the centre which produces instant ultra-detailed images and costs in excess of £40,000 retail. OVAID will provide full on-site installation of the equipment together with full training over several days to ensure that the vet team are confident in its use. Maintaining equipment in the harsh tropical climate is difficult and expensive so OVAID have instigated an arrangement whereby the supplier will provide full back up for the machines in event of any failure, both remotely (some solutions can be fixed remotely via computer) and if necessary in person. OVAID will also fund free on site specialist sonography training in the use of the IAR centres ultrasound machine (donated by OVAID) by a fully qualified sonographer over the same period as the x-ray training. This is something that the vet team have specifically requested. Depending on the income from the tour and OVAIDs fundraising activities over the next few months we will also assist in fulfilling many items on the wish list of the veterinary team at Nyaru Menteng. We will communicate with the centres vets on their exact requirements but we should be able to contribute a significant donation of essential medicines and urgently needed equipment. Bring along some Vet supplies. Many of our guests feel that in addition to their fundraising effort for OVAID, they would like to make a small personal contribution / presentation to the vet teams. Please note this is entirely optional. The following is a list of useful equipment for tour participants to bring - items are always needed by all centres. Finger pulse oximeters similar to click here. Quick read digital thermometers similar to click here. Surgical scissors -These are really sought after - OVAID can purchase them for you @ £7 a pair! Details click here. Intravenous giving sets (probably obtainable from your local vet) similar to click here. Syringes - 3ml / 5ml/20ml/30ml/50ml Obtainable from your local vet - they may even donate! Whilst lightweight these can be bulky but can be packed loose around your clothes! You will directly be supporting OVAID in their work saving orangutans in providing vital veterinary equipment & supplies. 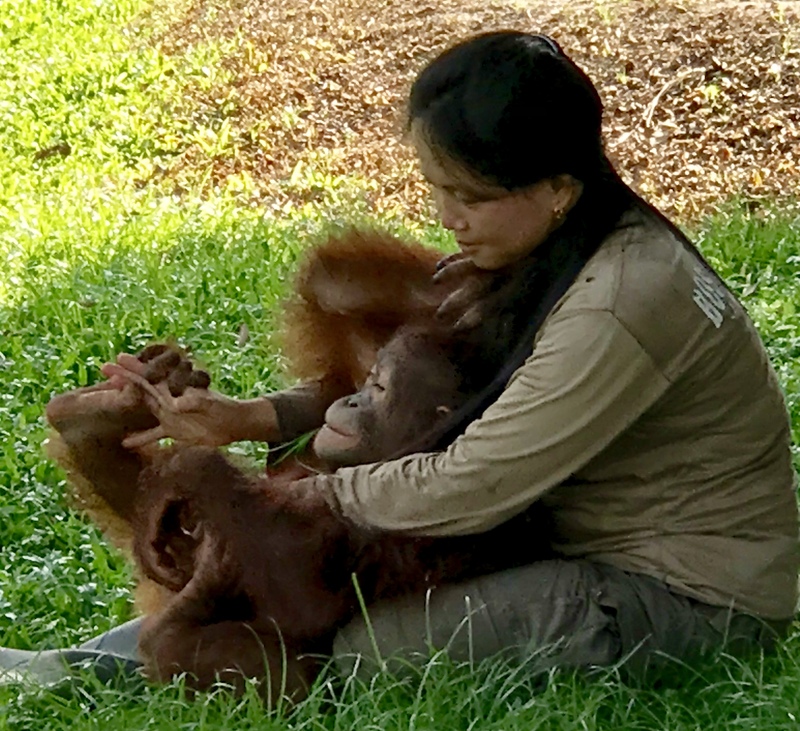 You will also be helping in supporting the work being done by Borneo Orangutan Survival Foundation (BOSF) & International Animal Rescue (IAR). © Orangutan Odysseys - 2019 All Rights Reserved.